You are here: Home / Elizabeth M. Ward / Too Many Sweets and Junk Foods? Too Many Sweets and Junk Foods? Remove cakes, cookies, donuts, ice cream, and salty snacks from the house. That does not mean you must deprive children of treats all together. Offer healthier alternatives such as mini muffins, graham crackers, animal crackers, fig bars, and gingersnaps. Popcorn, pretzels, and flavored rice cakes topped with peanut butter or humus are kid-friendly snacks. Make trail mix by combining semisweet chocolate chips, raisins or dried cranberries, and nuts (for children four years old and older given the risk of chocking for younger children). Don’t use snack chips or cookies as bribes or rewards. Instead, include them as part of meals and snacks, and stay low key about it. When kids get wind that you think certain foods are special, they start blowing their value out of proportion. 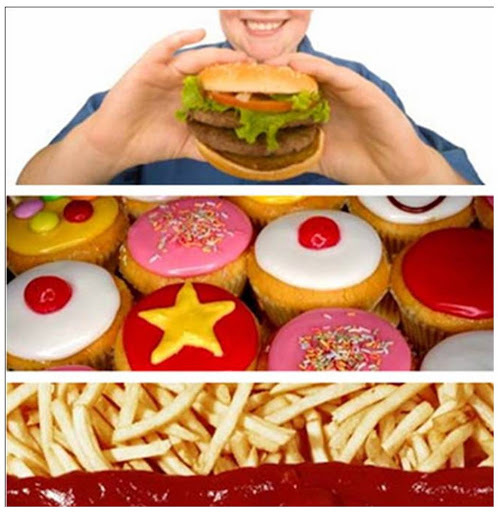 Do the children you care for eat too much junk food? Kids today absolutely eat too much junk food. The parents get the kids McDonald's every week. Cookies are in their lunchboxes despite teachers asking kids not bring Oreos to school. Soda machines are in their cafeterias. What bothers me to no end is when caregivers (be it parents or nanny or whomever) gives chidren candy or food as rewards.I was told by my mother never to give chidlren M%M's each time they go potty. Don't bribe them to clean their rooms and then they can have ice cream.It is ironic as anonymous mentioned above that schools are teaching children to read food labels then allow sugar and saturated fat into their lunchboxes and cafeterias.As nannies we can do our best to provide healthy foods and rewards are praise and appreciation rather than treats. http://www.nytimes.com/2006/09/28/fashion/28nanny.html?_r=1&pagewanted=1&ref=healthAbove is a link to a blog from the New York Times.In posting after posting on the new Web site ISawYourNanny.blogspot.com, anonymous whistle-blowers describe alarming baby-sitting behavior they witness at playgrounds or supermarkets: one near Atlanta pouring Dr Pepper into the sippy cup of her young charge.In an age of organic everything, rampant childhood obesity and widespread food allergies the feeding and misfeeding of children has become a tense, awkward point of debate between parents and baby sitters.Just a few years ago, giving lunch to a 1-year-old was a simple matter of popping open a jar of the Gerber mush du jour. But many parents now feed their children with the precision of chemists and the passion of Alice Waters, and expect sitters to do the same. Fruit juice, once a childhood mainstay, is now considered a sweet slosh of empty calories, and soft drinks are a potential firing offense. “Twenty years ago you would feed kids anything,” said Marci Thomas, who has been baby-sitting for New York children for that long. “Just feed the child hamburgers, and that was great back then. Now it’s so precise. Don’t give them that at lunch, make sure she eats that at dinner.” The issue is a trying one even for those gifted in the delicate art of parent-nanny diplomacy. The conflicts are partly a result of the educational and economic divide that leaves many nannies less knowledgeable (or neurotic, take your pick) about nutrition than their employers. But it is also partly a struggle over the emotional issues involved in leaving a child in another person’s care. More at the link…. What bothers me to no end is that I dont give my charges junk food when I am there period! I usually hide all the candy when I am there, but then their parents come and give them candy and junk and then I am left their looking like the mean person! I try to offer my charges other healthy items! One family I work for went I was on duty for a whole month while the parents took a vacation around the world! Now these kids were junk food junkies so when they left I went on a binge and got rid of all the junk food! Those kids went into withdrawals it was so crazy that first week. By the second week they were okay and they had more energy and played more outside and slept better and bad behavior decreased by 90%! The momment their parents got back things went back to the way they were and they did a 180. I blame the parents who give them junk food, being a busy parent is no excuse for giving your kids poor eating habits. A treat here and there is one thing but on a regular basis, lets call it what it is laziness! DeShaun it is great that you have the knowledge and willingness to feed the children well. But, to be condescending towards the parents and call them lazy for not doing things your way is simply a waste of time. I think it's great they hire you to do the meal preparation since you have the time, energy and knowledge to do what they can't.I just want you to be careful because I have yet to meet a mother or father that doesn't do their best for their kids. It's true that kids should be fed a healthy diet and we have all been taught to do that. But, typically the parents are anything but lazy. None of the parents I have worked for are lazy. They are imperfect for sure, but as nannies we have to allow them to be imperfect. They work long hours and are exhuasted and feed kids fast food because they are tired and the food is inexpensive. They prepare foods that are easy to make for lack of time, energy or had enough time to learn the recipes.Providing healthy meals is another reason parents love hiring great nannies! Be sure to post your cooking skills on your resume! That's super. At the same time, all the parents I have worked for are not being lazy if they don't have the meal planning and cooking skills that I do.Heather, Boston Mass. Hi,I don't think it's being condencing to say they are being lazy IMO! I think that if a parent wants their Nanny not to do certain things then they should set the example first because we are the care providers and not the parent! What I meant by lazy is that I feel it's irrespondsible for a parent to offer junk food on a regular basis and treats and then wonder why their child is bouncing off the wall or unable to concentrate in homework etc… I mean if I work for a family I see more junk food in the house then healthy food that's a problem. I am not saying I want parents to be perfect but I am just saying practice what u preach! It's just like when you go on an interview and a parent has this ling list of things the expect from you, but when you enforce what they say they come right behind you and contradict what they wanted and then making you look like the bad person or mean! I am a stepmom and I work long ours just like the next parent but I am not stopping by McDonalds or any other fastfood place 6 nights a week all because I am tired and exhausted nope I am coming home and cooking dinner and offer healthy meal choices to my stepson bc I want him to eat healthy and be productive the next day at school and not coming down from a sugar high and being lathergic at school! I just feel like parenthood doesn't stop just because your tired and had a hard day at work there is no accuse for giving kids excess junk food and candy bc ur 2 tired! Just my opinion!! !